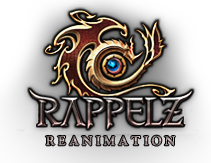 Included in every guild hosting you will fand a huge amount of premade design templates. So your page will have a unique look. Beside this, a bunch of features is included. Just click on the feature image to get detailed information. Here you find a selection of features included. 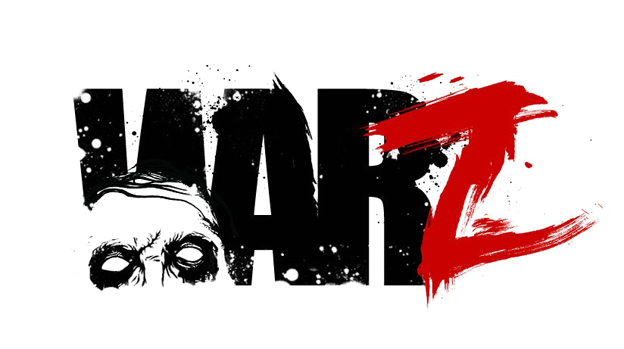 are announced in our patchnotes you can find at our support pages. 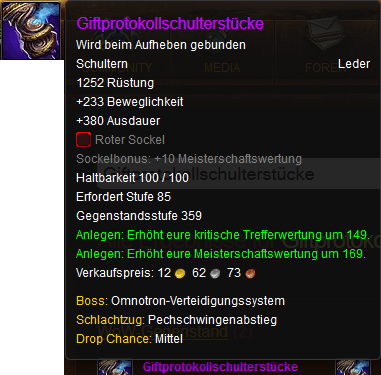 Special World of Warcraft feature: Arsenal boxes on your portal page. 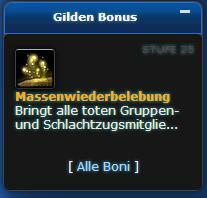 Show your guilds tabard, with guild level or without, your guilds achievements, the last activities of your guildmembers, and your current guild bonus. 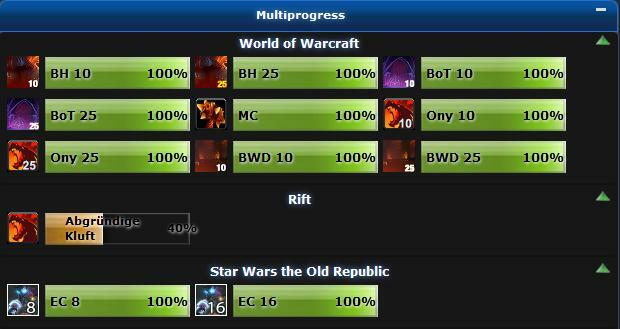 The data is always up to date and updated via the World of Warcraft API. 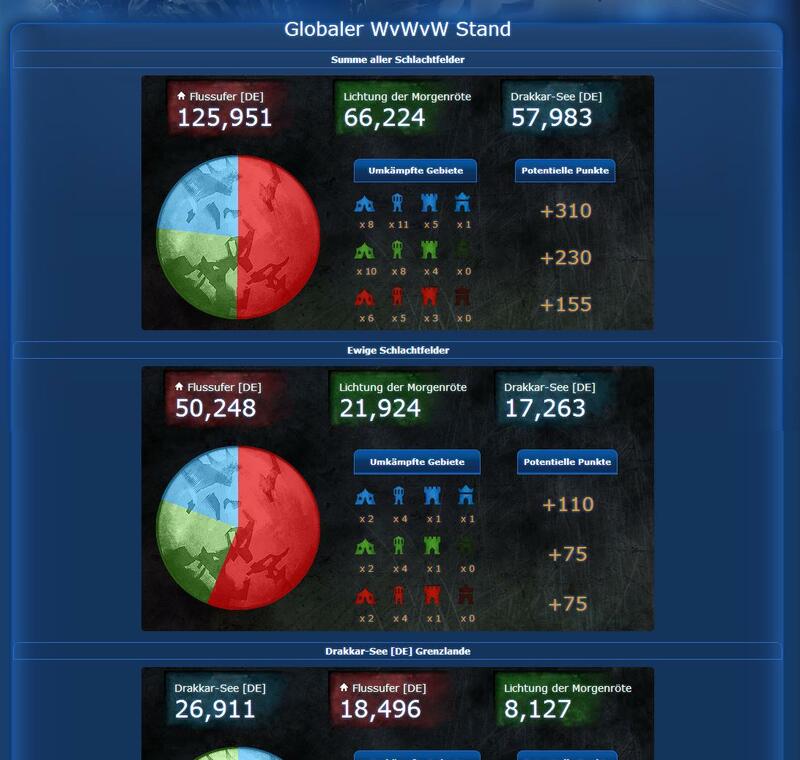 Shows the current standings in WvWvW matches for your server in a box on your portal page, and on a detailed stats page for any borderland map, eternal battlegrounds and the overall standings. 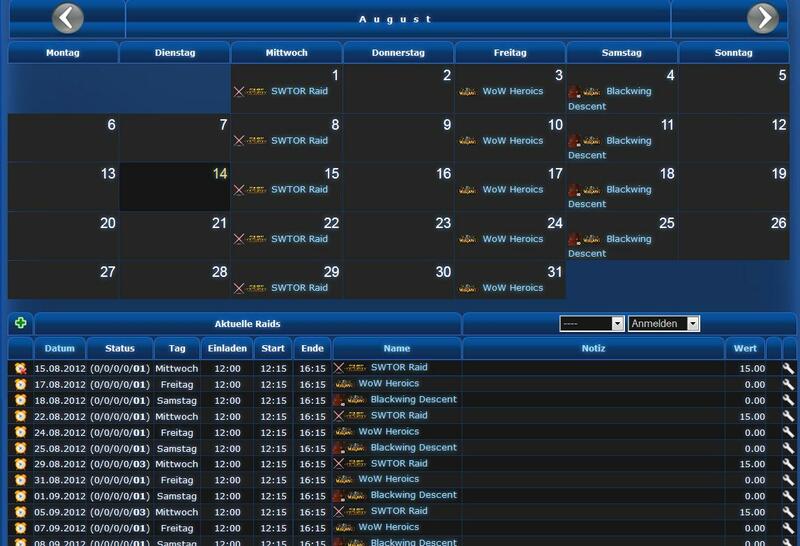 Additionally you can show selected event states in a portal box, or view an overview page of all server events sorted by map. Your guild is playing multiple games? No problem at all. 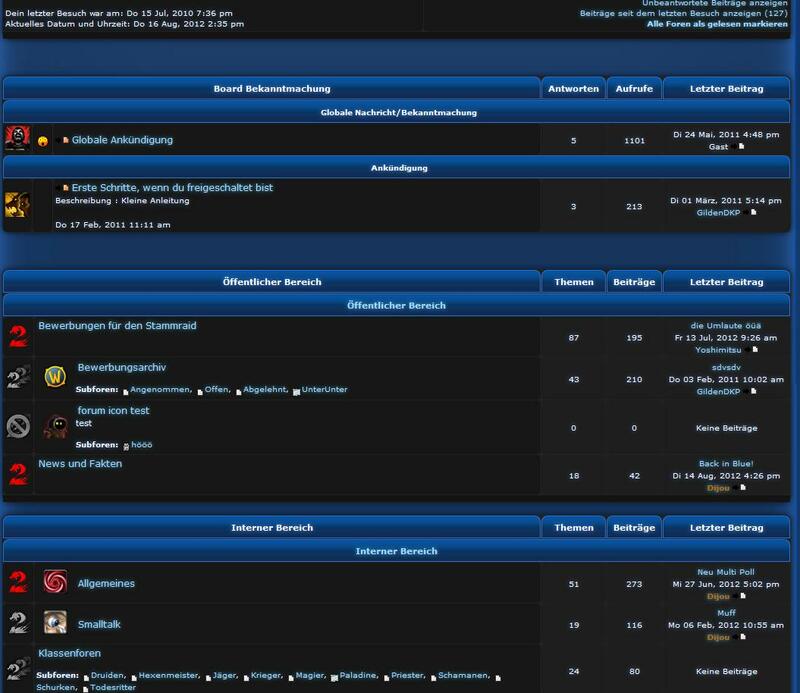 Our hosting is ready to use for multigaming. 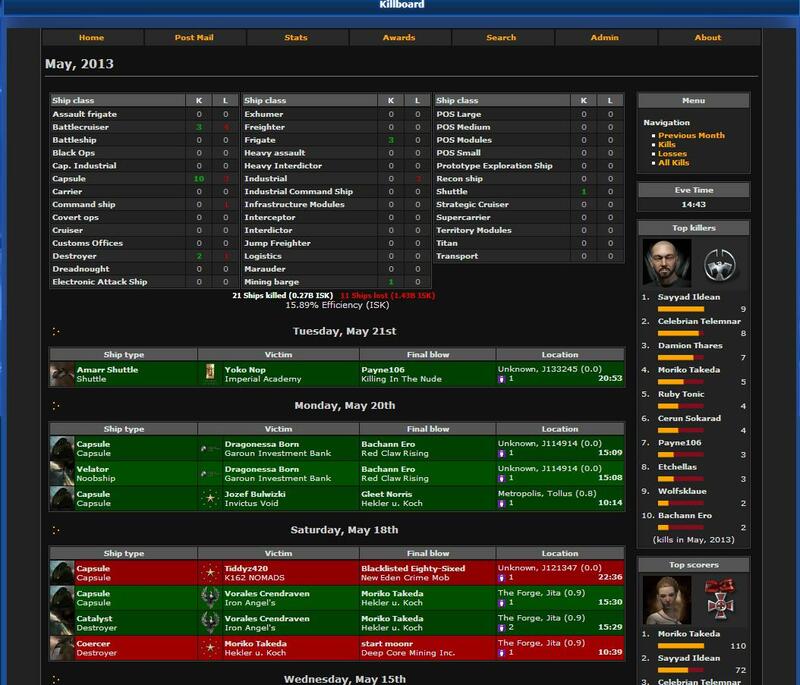 Create game or raid groups and insert your characters for any game you play. Easy handling and the best overview. Even if you just play a single game, you can use this feature. 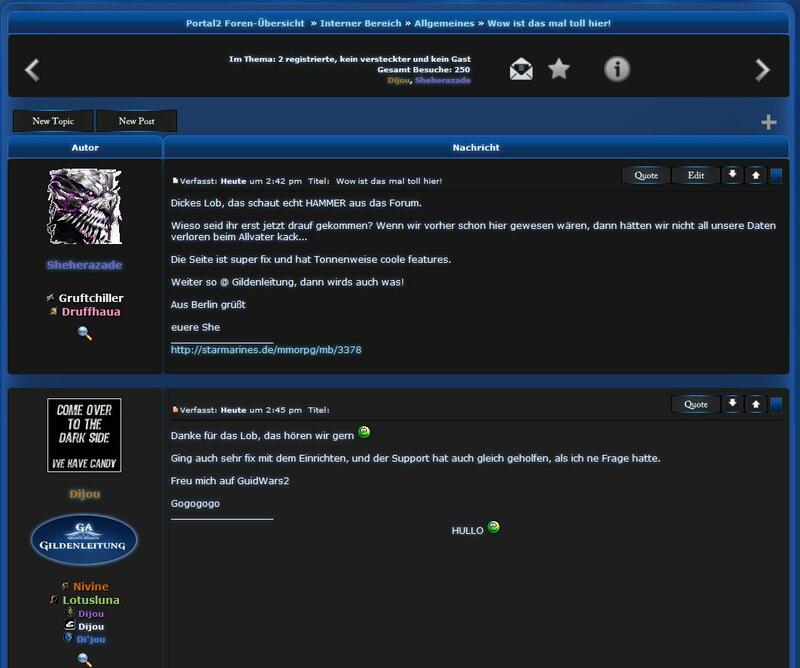 The forum is a complete bulletin board with all needed functionalities, to communicate with your guild. 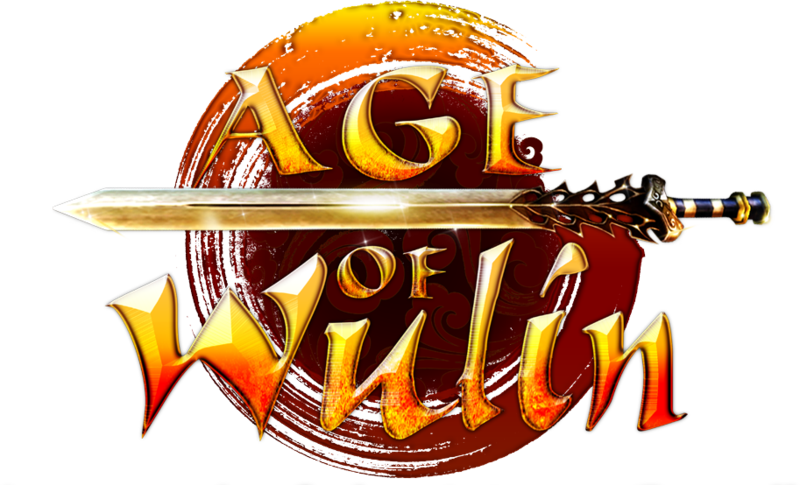 Additionally, it includes a bunch of features for your selected game. 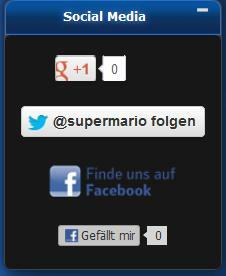 You can easily add item or player information to your posts for example. You can use your own domain with all our hostings. 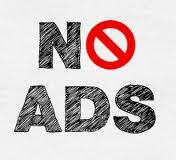 We are not only referring to your page, it will be accessible completely with your own domain, without any subdomain. You don&'t have your own domain? 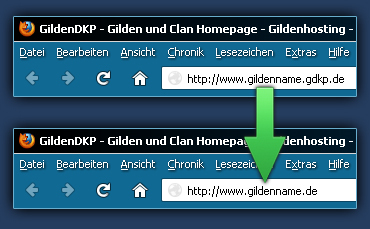 Starting at 6€ per year you can get your own guild domain with us. If you choose a 12 months plan, it will be completely free of charge! We are glad to help! Our team will help you with any question related to our hosting. 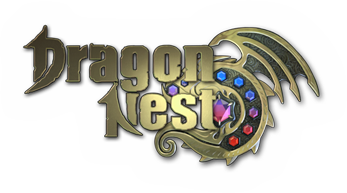 You can use the forums and ticket system 24/7 and aditionally we are available by phone or teamspeak monday to friday 9am - 6pm. No expensive hotline number. We don&'t leave you alone. Get now up to 10 mailboxes and 100 forwarding email mailboxes with any ordered domain. 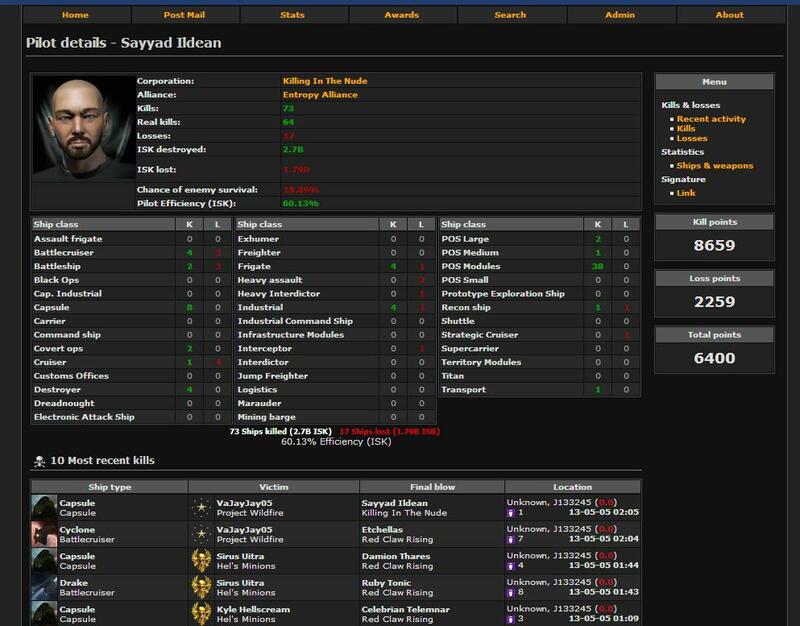 Complete EvE Online Killboard integration with API support into your page. 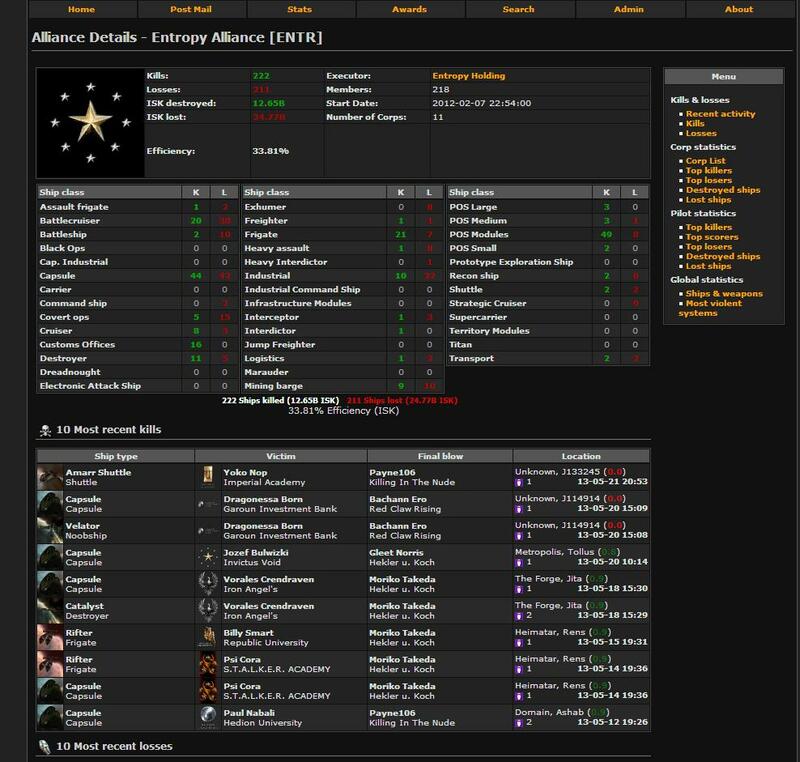 Show the strength of your alliance and the destroyed ISK. Detail view down to a single pilot. 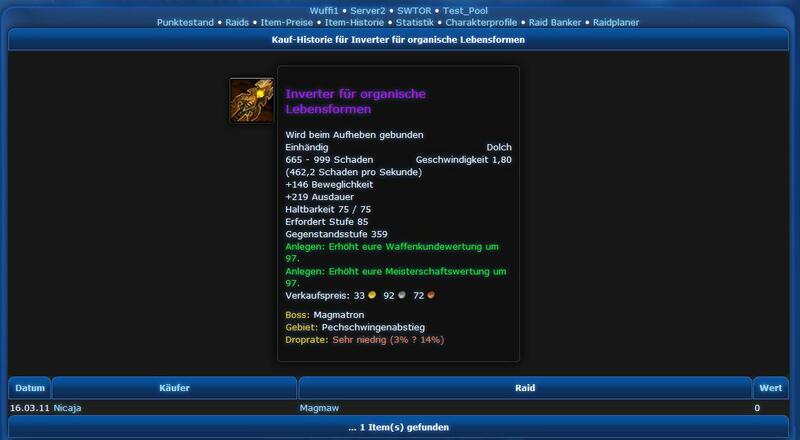 If you want to have the killboard activated on your site, please contact our support team. 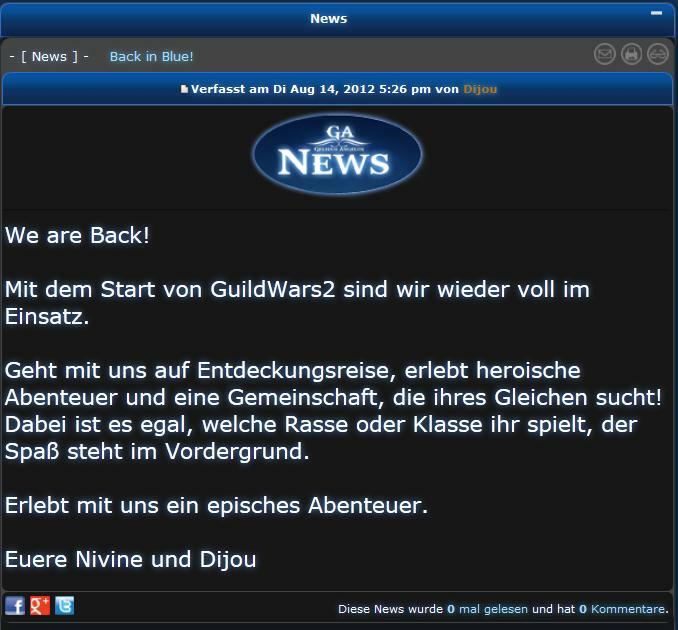 Share your page on facebook, twitter with your guildmates or give a + on google for articles and news. The Social media box and the social bookmark features you can easily share your page at the social networks with just one click! Expand your page by creating own content. 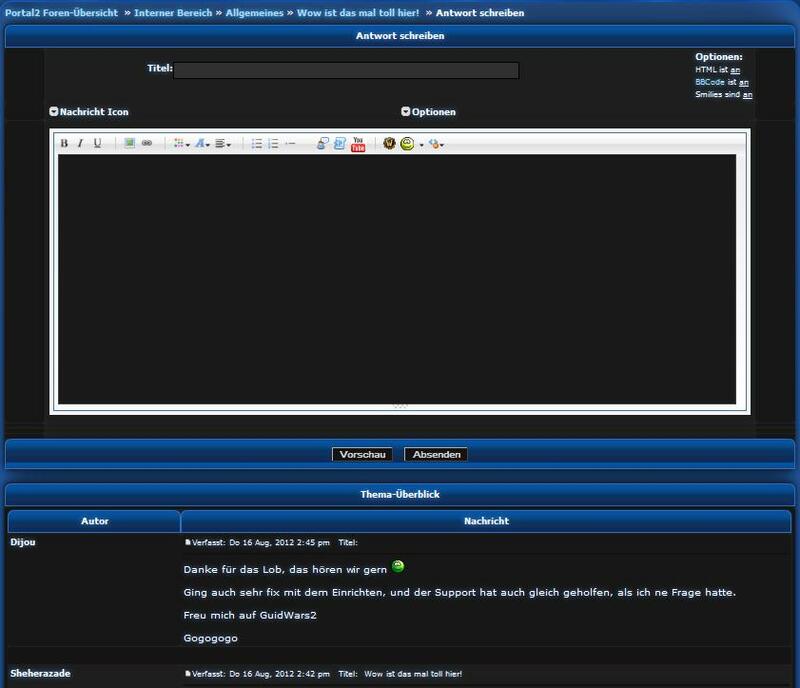 It is just a handturn away to create your own content or include external sources with the included WYSIWYG editor. All created pages will be fully included into your design. It&'s fairly easy to extend your website. 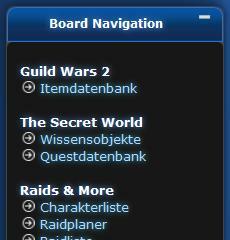 Choose your personal design for your guildname at the header of each page. 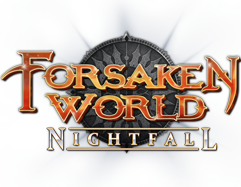 Choose one of more than 500 available fonts, select color and size and create a unique design of your guildname. Even the shadow around it can be customized. 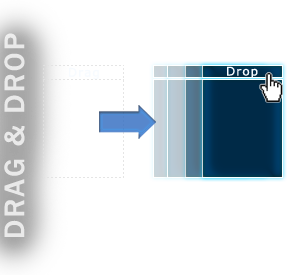 Also you can drag & drop it where you want. We have no limitations on webspace used for avatars, attachements or your photo album. Optionally you can increase your available space by private storage, to use for uploading videos, addons or your own scripts. 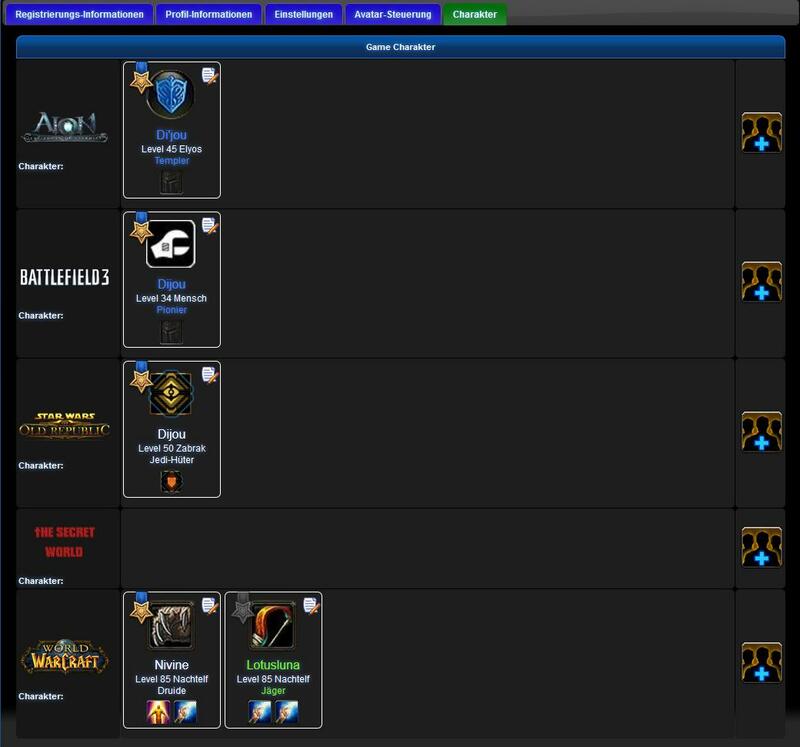 Also you get premade folders where you can add logos, newsicons, rank images, apply images or smilies directly included into our system, and easy to choose from the adminpanel. Link up to three videos directly to a special YouTube box on your portal. You can select to show a link to your channel as well. This feature is multi-gaming ready. Show your recruitment list on your website. Select the priority of your needs and the desired spec to recruit exactly the members you need. 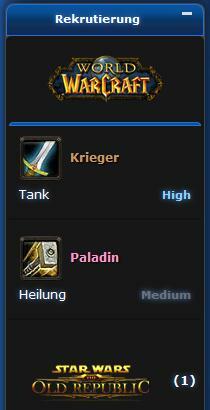 You can choose different types: global, a special skill or specialization for any class. Also you can recruit for all your selected games. Create your own apply form. Define questions, that are of interest for you, include your guildrules, create required field and show a message after the application has been submitted. The application will be postet at your selected apply forum and can be answered by your application officer there. You decide how your navigation looks like. 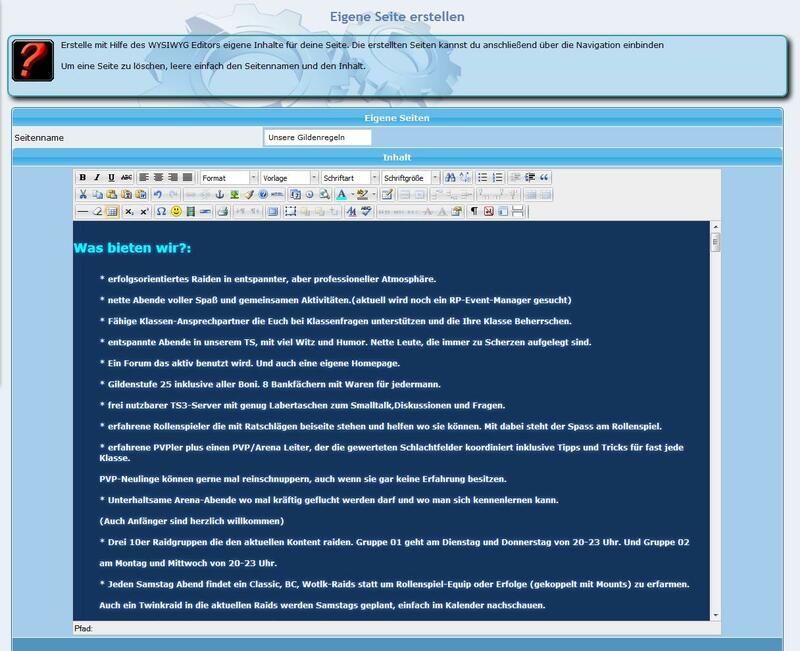 Categories and links, custom pages and menu otions can be arranged by an easy drag & drop system. 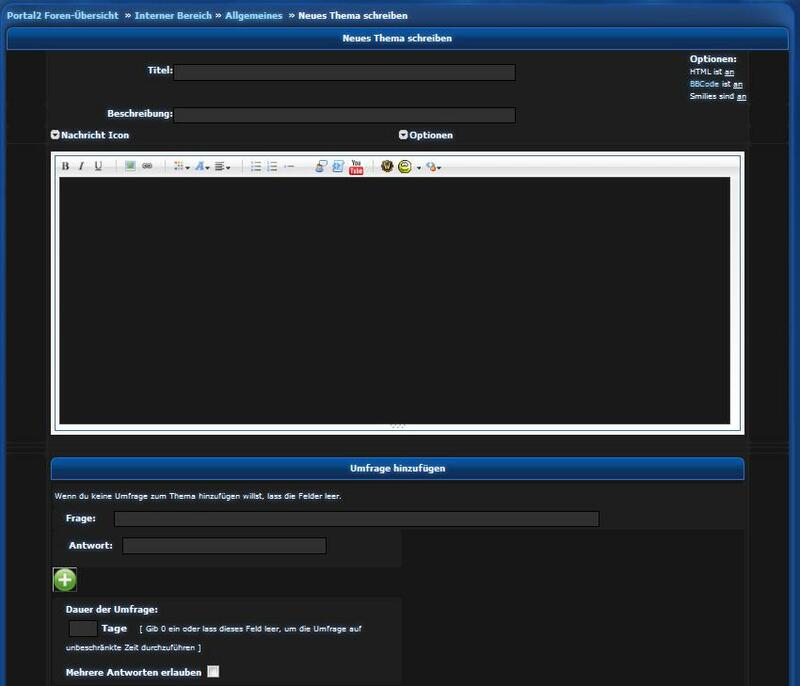 Create unlimited portal boxes, for example a countdown, a second Teamspeak viewer, video boxes and many more. You can layout the boxes with an integrated WYSIWYG editor, or insert "ready to use" HTML code snipplets. 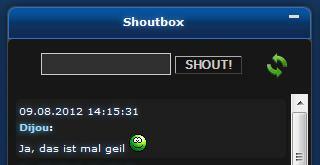 A live preview will show you, how your box will look like at differtent portal positions. The Portal Move System makes it possible, to move any box like the recruitment or the boss progress on your portal page to any position you like. You are able to create a unique and individual layout for your guilds portal landing page. 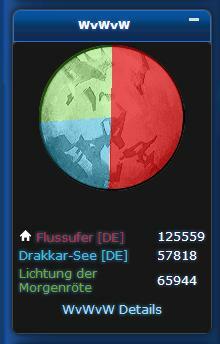 Completely integrated item tooltips at your forums, at the portal with easy to use BB-Code, and at your item list. 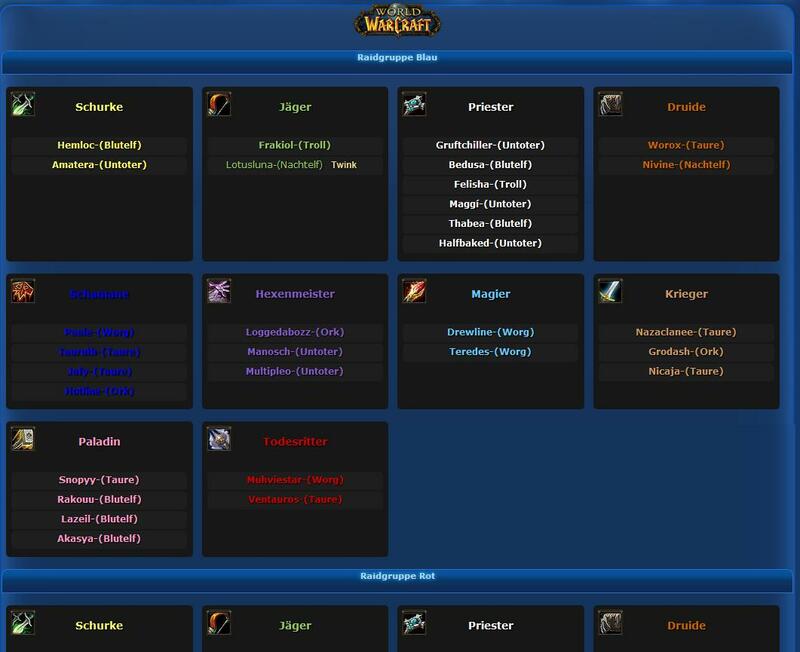 Create lootlists, link recipes, quests and many more. 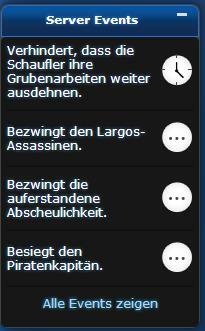 Even if you play more than one supported game, no problem with our multigaming tooltips. Detailled raid history. 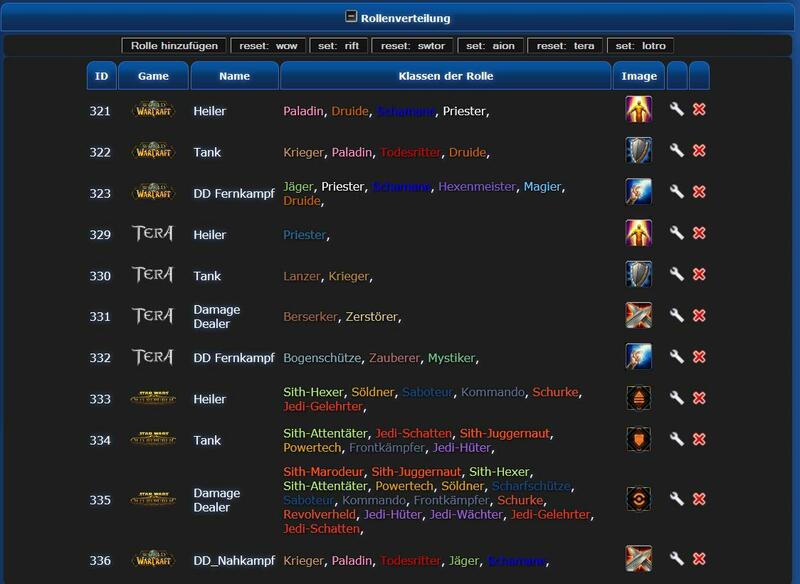 Full integrated DKP system to manage your raidmembers, raids and loots. 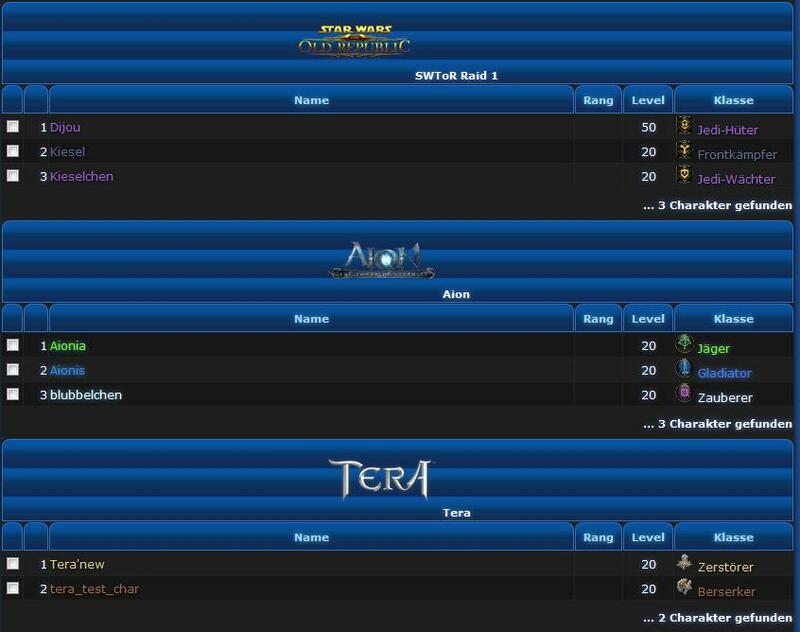 View the detailled raid history of any character, award bonus or penalty points. 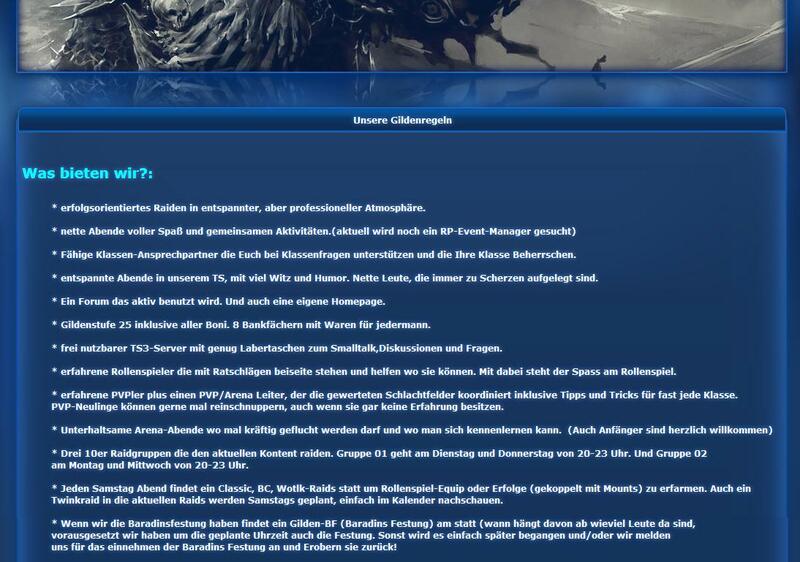 Import your guild via Armory (WoW only) or guild importer (Rift). 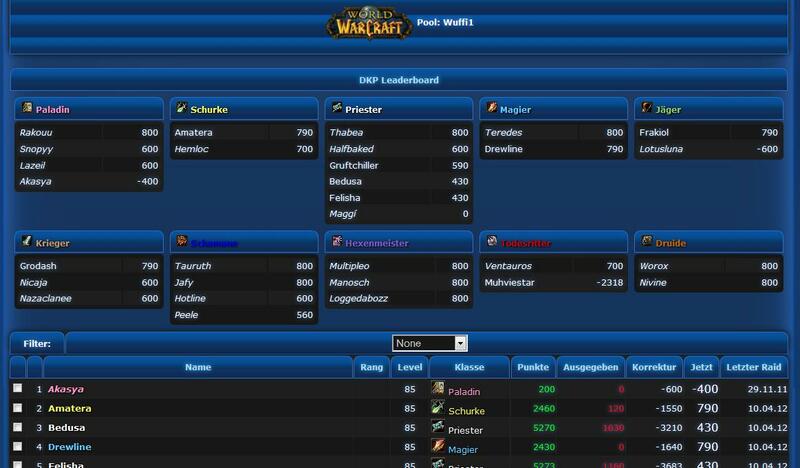 Support for GetDKP and raidtracker addons like Headcount2 and Mizius Raidtracker (WoW Only). 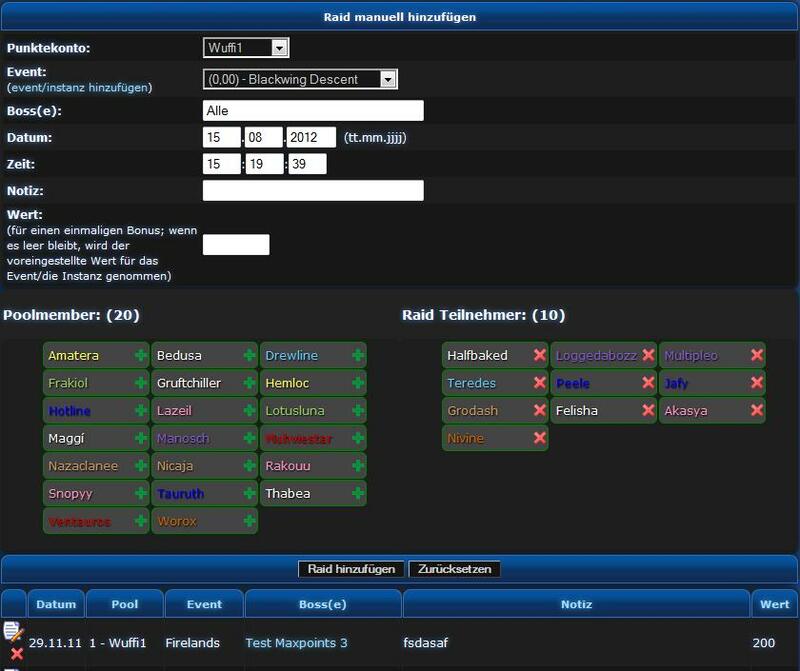 Manually create raids, "one-click" attendance: add attendees to a raid with one click. 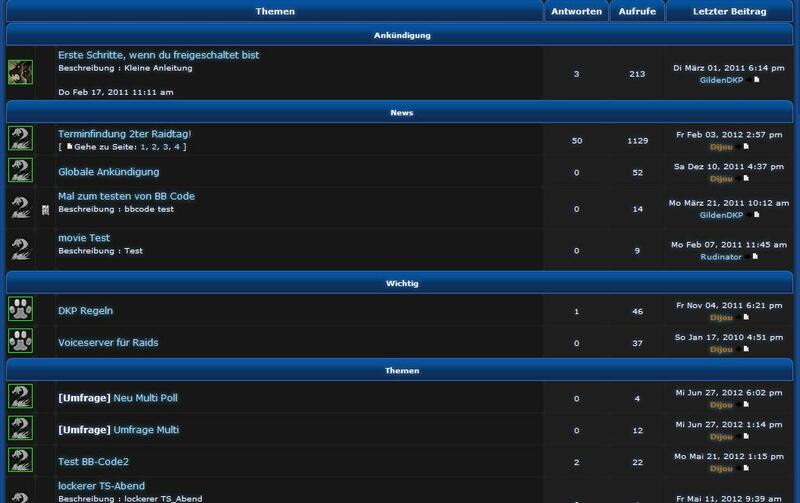 Manage different raidgroups, even from different games within one system! 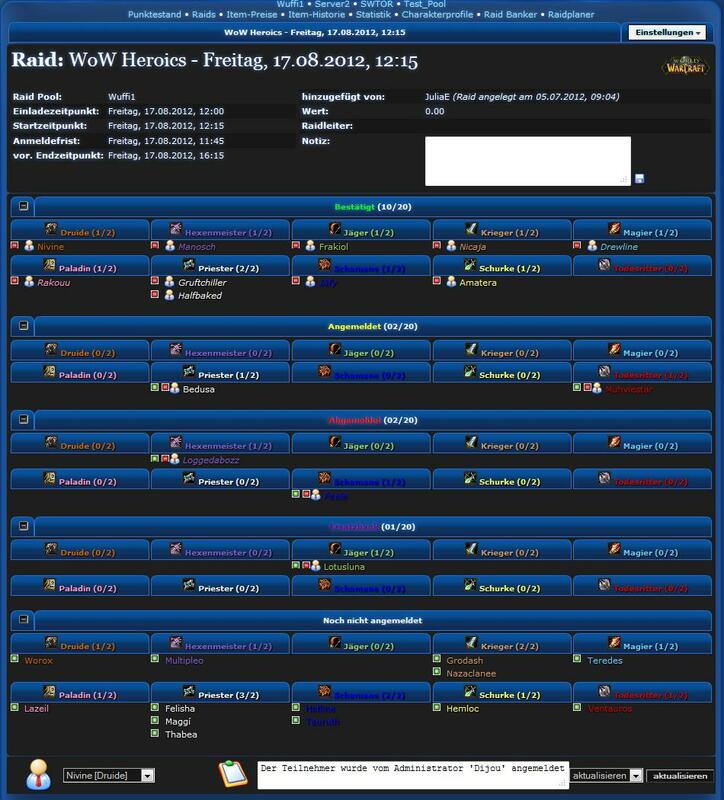 Raidplanning becomes never so easy again. Plan all raids in one system. 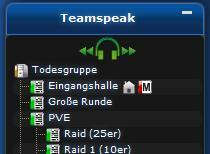 Every user with a character in the raidgroup and game the raid is planned for is able to sign up for a raid easily. 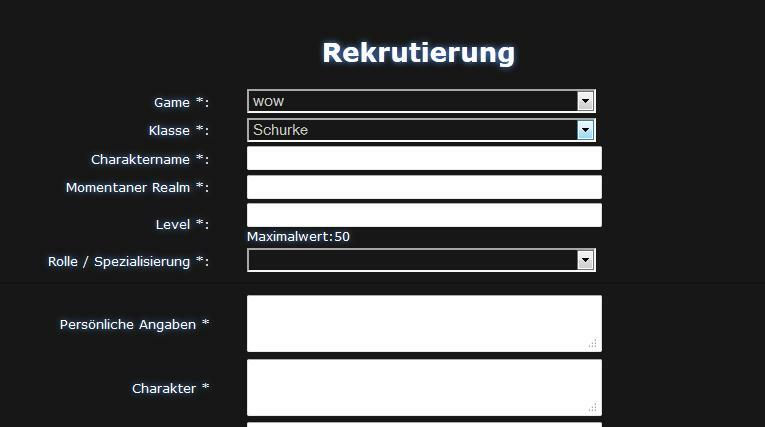 "One-click" mass signup for raids. Substitues, sign-off and leave a comment. 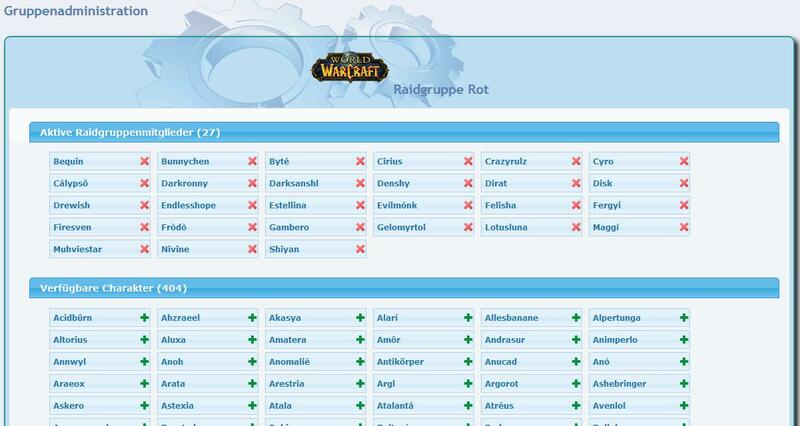 All planned raids will also been shown at the portal calendar, and, if its active, also at a separate portal box. 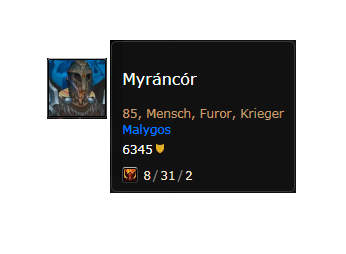 Special World of Warcraft feature: What race, class, spec and the current achievement points a character has earned, live updated from the WoW Armory, is shown by hovering over a members name. 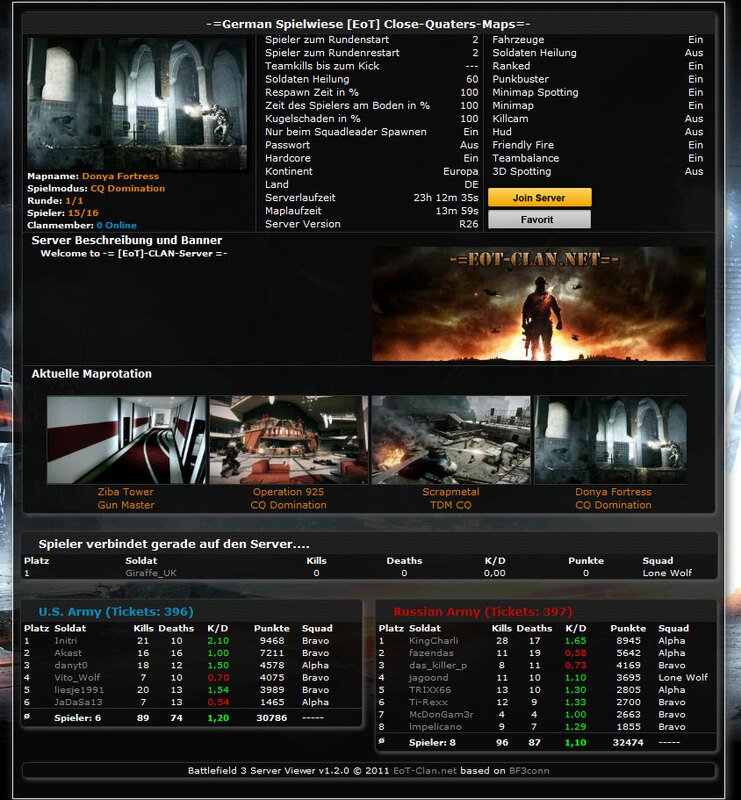 Show your Battlefield3 server in a portal box and on a special serverviewer detail page. 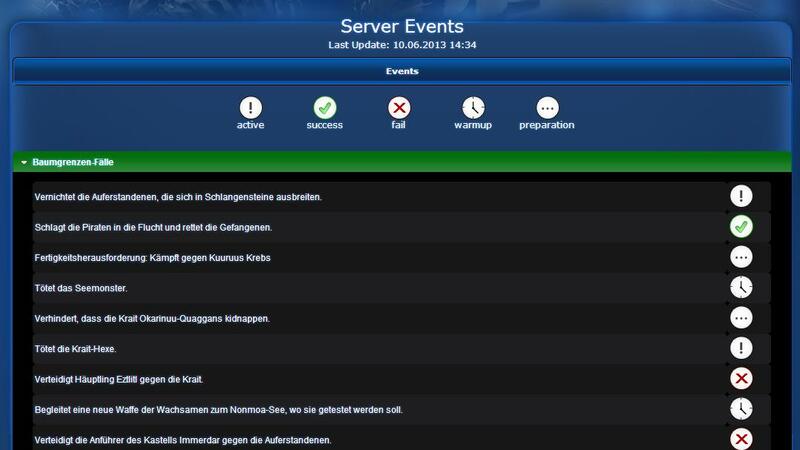 All server settings, current map, IP and port and many more information will be presented to your visitors. Also they can see, if a clanmember is currently online. 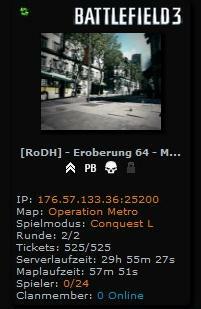 The detail server page shows additional information such as map rotation and all current players with detailed stats. Since 2008 the servers we are hosting on are powered by climate neutral power, generated by waterpower stations. Our office is supplied by renewable energy, too. Environmentalism is part of our philosophy. 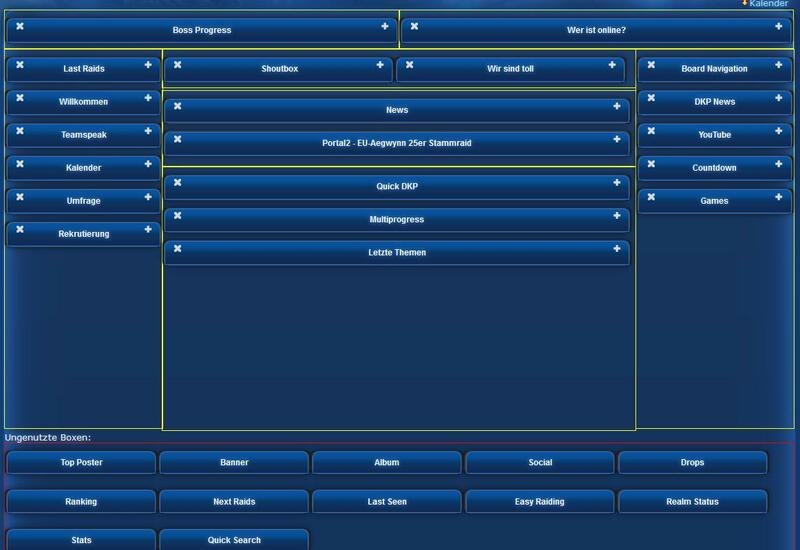 Give it a try, and you wll see, how many options you will have, to create a stunning guild website with our system.